Let's help your child find school success today! Your child doesn’t really need a tutor…they can do the work. It’s just that getting homework done is an absolute battle. Plus, the “new math” is really hard to understand! You have the passion to homeschool, but just don’t feel 100% confident getting started. All those curriculum can be overwhelming! If you’re nodding your head, parent coaching is for YOU! Meg can step in and guide you to better ways to handle learning at home. With routine overhauls, personalized schedules, curriculum reviews, and custom created master lists of homework support websites, you’ll be less stressed and more successful! Meg Flanagan has worked in education since 2008. She holds an M.Ed in Special Education with a focus on Autism Spectrum Disorders, Specific Learning Disabilities, and ADHD. Meg has taught exceptional children in traditional classrooms and in homeschools across the country and around the world. With two children of her own, Meg understands how important parents are to the education process. Her goal is to help you find your voice and feel confident! You’ve got passwords scattered everywhere and you still don’t quite understand what’s happening in math. you’re overwhelmed and stress out by all this homework. Let’s fix that with personalized homework support designed around your busy family! Scheduling: Let Meg handle the hard work of juggling your busy life. She'll create a dynamic master schedule system that works for your family! Homework Sanity: Create after school routines that balance self-care with school success, with plenty of time for kids to just be kids. 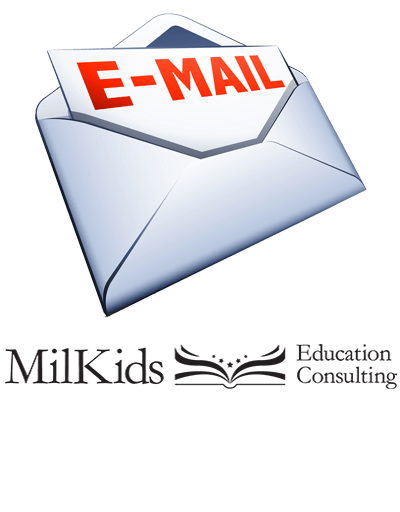 Parent Toolkits: Meg can create customized master lists of the best homework resources online so that help is always just a click away. Getting starting with your homeschool can be challenging. Between finding your child’s learning levels, understanding the laws, and building a curriculum library, it’s hard to juggle everything. Let Meg handle some of the tough stuff for you with coaching designed to foster your homeschooling success! Learning Levels: Let Meg help you figure out where to start your learning journey through customized assessments of your child. Curriculum Reviews: Narrow down your learning resources when you talk to Meg about different options and how they might work in your homeschool. Scheduling Support: Build a homeschool schedule that makes sense for your busy family with help from Meg! You know your child best, but you might not feel comfortable or confident teaching a certain topic or subject. It’s totally fine to call in extra support! Meg can help you cover a certain topic, theme, content area, or adjust for learning needs. Guest Teaching: Invite Meg to jump into your homeschool, in person or virtually, as a guest teacher. Whether you need help for a small unit or a larger theme, Meg can help! Regular Teaching Support: We can't all be math geniuses, but you can hire a professional teacher to step in when you need support. Meg can handle Math (preK-6), English Language Arts (PreK-middle school), History (all ages), and Science (PreK-6). Learning Differences: Not all kids learn the same, it's why you're homeschooling! Meg can help your homeschool adjust to better meet the needs of all your learners with coaching support and professional recommendations. Book Your FREE Advocacy Consult with Meg Today!